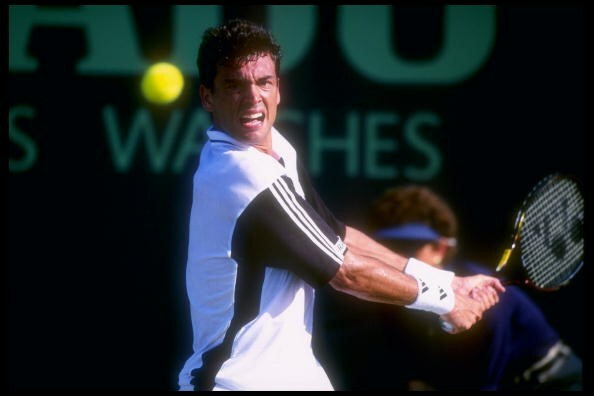 Before putting his racquet down to coach Top 10 Frenchman Richard Gasquet, 1996 silver medalist Sergi Bruguera was known throughout the 1990's as the “King of Clay” before Gustavo Kuerten and Rafael Nadal. Bruguera made a name for himself after becoming the 1987 Spanish National Junior Champion and quickly became the catalyst in Spain’s resurgence as a nation in men's tennis once he was named the ATP’s Newcomer of the Year in 1989. In 1993, The Spaniard dethroned two-time defending Roland Garros champion Jim Courier for his first grand slam title, only to repeat the feat again in 1994. The pressure was on for Bruguera entering the ’96 Olympics, as he was one of only three players from Spain to represent their country in the draw. Managing to fight past Great Britain’s Greg Rusedski and American MaliVai Washington en route to the final, Bruguera saw his dreams of Olympic gold halted after being handily defeated by Andre Agassi, 6-2, 6-3, 6-1. Twenty years after settling for the silver, Bruguera returns to Atlanta seeking gold medal redemption.